Published on March 2, 2011 in Europa. Closed Tags: aussetzung, Frankreich, Griechenland. Wie heute bekannt wurde, hat der französische Innenminister alle Präfekten angewiesen, bis auf weiteres alle Abschiebungen nach Griechenland auszusetzen und vom Selbsteintrittsrecht Gebrauch zu machen. Published on June 1, 2010 in Berichte. Closed Tags: Griechenland, Norwegen. 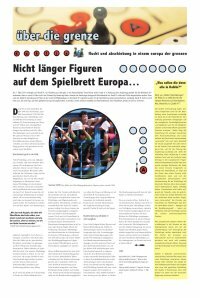 Wie aus diesem Artikel hervorgeht, ist die Situation für Asylsuchende in Griechenland immer noch so schlimm, dass sogar der griechische Staat keine andere Lösung sieht als eine Aussetzung der Dublin II-Abschiebungen. Greek authorities have called on Norway to stop sending asylum seekers back because they don’t have enough money. […] Greece is signatory to the Dublin-II Convention, meaning all refugees have to be sent back to the country where they first applied for asylum. However, the Greeks have called for the convention to be amended because they feel it’s both disloyal and unfair. Pål Lønseth, State Secretary at the Ministry of Justice, says they won’t be changing their policy, though. According to NRK, he claims the burden on society would be too big in relation to the size of Norway’s population. There are 20,000 spaces for 18,000 registered refugees in Norway, but Greece only has 865 to cover 25,000. “European countries have to show each other solidarity. I think Norway can afford it,” says Jannis Tassopoulos, Director of the Section for Vulnerable Groups at the Greek Ministry of Health.